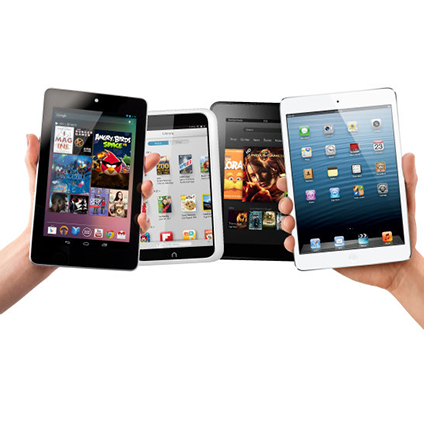 In 2012, British consumers averaged a spend of £934 each on tech such as mobile phones, tablets, e-readers, apps and music downloads, according to recent research. The biggest spend this year was on TV, with almost a fifth (17%) spending more than £50 a month on TV packages — adding up to £600 a year. The research also revealed the second high technology spend was on mobile phones, accounting for an average of £22 per month. Only spending on television (£24.71 per month) was higher. The research said 23% of Britons spent between £26 and £50 per month on a contract. It found 48% of consumers bought a smartphone, compared to 22% who bought a feature phone. The entry of the likes of Google and Amazon into the tablet market led to growing demand in this area, with 28% of consumers buying a tablet. And, despite the growing reliance on technology, most consumers think they have the balance right. More than half (55%) believe they have a healthy attitude towards their gadgets and three in ten (29%) say they don’t spend much on gadgets at the moment. But this looks set to change. While only 7% of consumers claim to being addicted to their gadgets, nearly three in ten (28%) admit they would be lost without them. Brits are also on course to become more tech-reliant; almost four in ten (38%) confess that over the past year they have become more reliant on technology and despite the current economic climate, less than one in ten (9%) will try to cut back their tech spend in 2013. Smartphones in particular have become an integral part of people’s social and working lives with the capability to stream video, check emails and browse websites, as well as make phones calls.